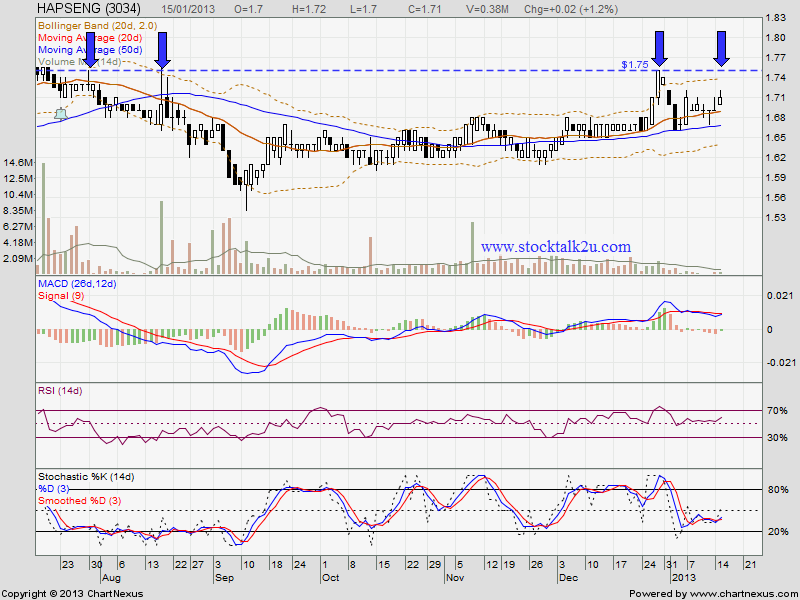 HAPSENG rebound from MA20 support level. 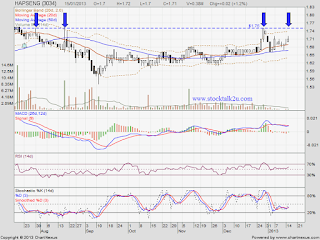 Will it break through RM1.75 strong resistance? High probably will retest RM1.75 level. If able break through, higher high been formed. If review last 3 quarter result, HAPSENG might declare a handsome dividend while announce Q4 result. Q4 result might be delcare early of Feb 2013.